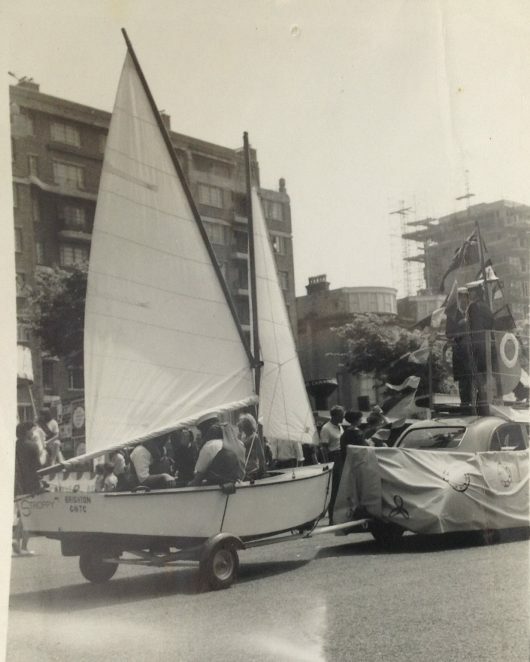 This photograph was taken of our float in the Lions Carnival in the 1960s. Standing on top of the car, disguised as a boat – was me and Angie Wilson. Cannot remember who sat in the little dinghy being towed. The procession went from Grand Avenue Hove to Preston Park. Do you remember this carnival? Were you in the Lions Carnival procession? Please share your memories by posting a comment below.